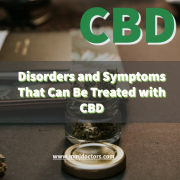 CBD stands for cannabidiol and it is the non-psychoactive substance that can be extracted from hemp or cannabis and used for therapeutic purposes. Unlike its counterpart THC, CBD does not create a ‘high’ effect in those who use it and it does not show up in drug tests. CBD usually does have some level of THC in it depending on how and from what it is extracted. In states where marijuana is not legal, CBD containing less than 0.3% THC is legal. In most cases, this is hemp-derived CBD. In states where medical and/or recreational marijuana is legal, CBD can have up to 20% THC. Read how to buy medical marijuana in Miami here. CBD has been proven to have a number of therapeutic benefits. Hemp-derived CBD with low levels of THC can help with low-level stress and anxiety, address mild to moderate aches and pains, reduce inflammation, improve sleep, treat mild depression, and help control nausea and stimulate the appetite. Stronger CBD derived from cannabis and combined with higher levels of THC can provide even more benefits such as treating digestive disorders like IBS or Crohn’s, reducing chronic pain from arthritis, fibromyalgia, or migraines, treating post-traumatic stress disorder, and controlling as well as reducing seizures. Some studies have also shown that CBD can slow the spread of cancer cells and help prevent early-onset dementia or Alzheimer’s. CBD can come in various forms, some of which are stronger than others. Depending on where you live and your state’s laws, you may be able to purchase CBD in forms that include low, mid, or high levels of THC. Here are some of the CBD products you may be able to find online, at your local dispensary, or at a specialty store. Oils are one of the most common forms of CBD on the market. Oils can come in the form of tinctures or capsules and can be taken sublingually, swallowed, or added to food or drinks. Oils can also be added to lotions or balms to treat topical issues such as sore muscles or rashes. If you’re into vaping, you can also get CBD in liquid form. Depending on where you live, you may be able to buy e-liquids that also contain either nicotine or some level of THC. Isolates are the purest form of CBD and eliminate all traces of THC and other contaminants. Isolates come in many of the same forms as CBD oils and dissolve easily in carrier oils. They are a good option for those who are extremely sensitive to THC. Isolates can also be made into sheets or crystals. These are good for those who want to ingest it in this manner or who want to make their own creams, edibles, or capsules. Crystals can also be used for dabbing if you want immediate relief from symptoms. CBD waxes are highly concentrated and are often referred to as shatter, crumble, budder, or live resin. Waxes are made by treating CBD extracts in a manner that causes it to solidify and crystallize. Those who use CBD waxes ingest it via a method called dabbing, which can provide instant relief from pain and other symptoms. Wax is usually not a good option for those just trying out CBD due to its concentration. The first step to finding the best CBD for your needs is determining what is legal in your state. If you live in a state where neither medical or recreational marijuana is legal, you will need to limit your options to hemp-derived CBD that has less than 0.3% THC. If you live in a state where medical marijuana is legal, you will need to obtain an ID card to buy CBD that is cannabis-derived and has higher levels of THC from local dispensaries. For those who live in states where recreational marijuana is legal, you can buy any form of CBD with up to 20% THC without an ID card. 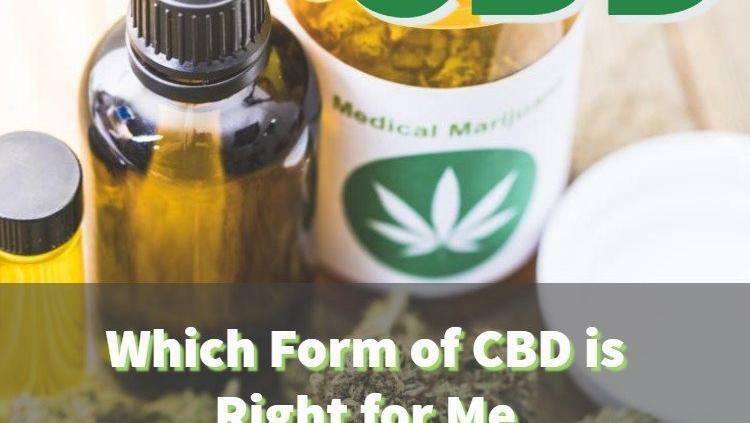 Once you know what type of CBD you can legally buy, you can then choose which form to buy it in. When choosing a product, make sure you ask the retailer if the CBD is pure or full-spectrum, what the actual quantity of CBD is in the product, how the product was produced, and what conditions it best treats. A knowledgeable dispensary or specialty store staff member will be able to answer all your questions and guide you to the product that will be best for your needs. CBD can be a powerful component of your treatment plan. 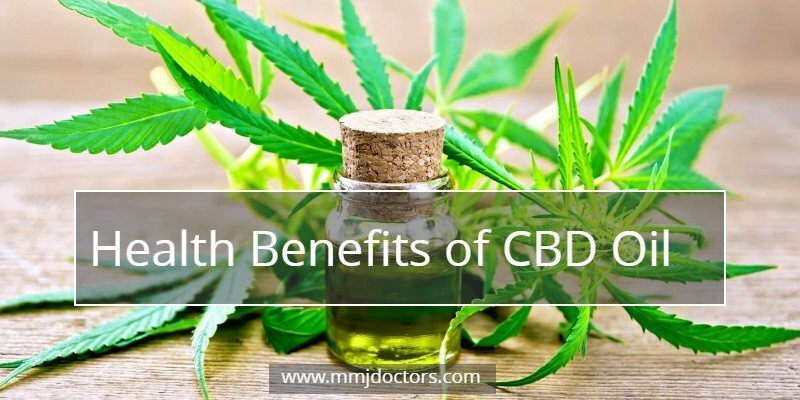 With none of the side effects associated with opioids or over-the-counter medications, CBD can be a natural choice for those suffering from everything from chronic pain to digestive disorders, anxiety, and more. 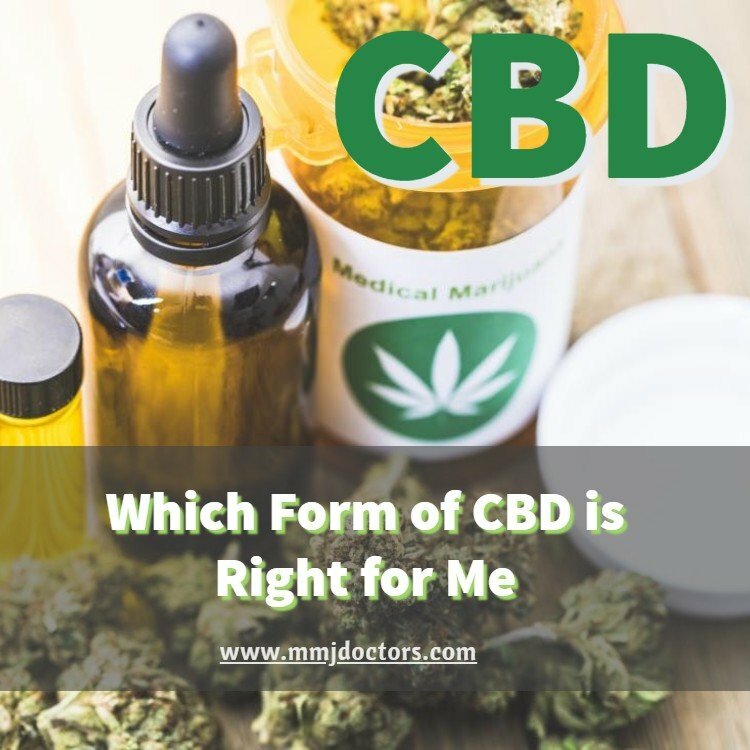 When you know all the forms that CBD comes in as well as what is legal in your state, you can make the best decisions on which product is best for you.